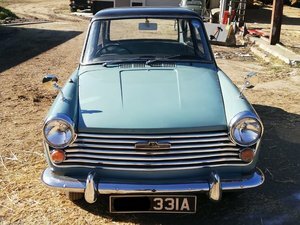 1966 Austin A40 Farina. 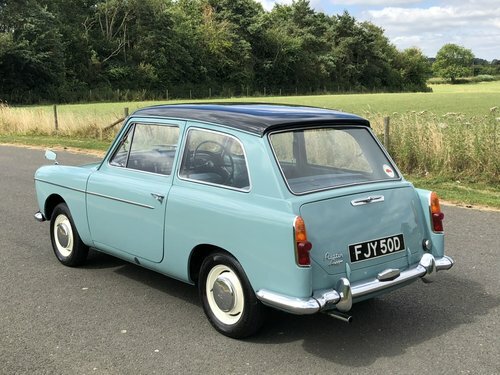 Horizon Blue with a black roof and blue upholstery. 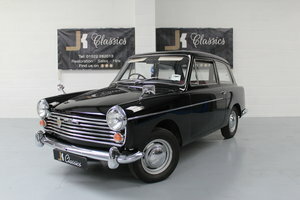 The Austin A40 Farina is a small family car introduced by Austin in saloon (1958) and Countryman (1959) versions. 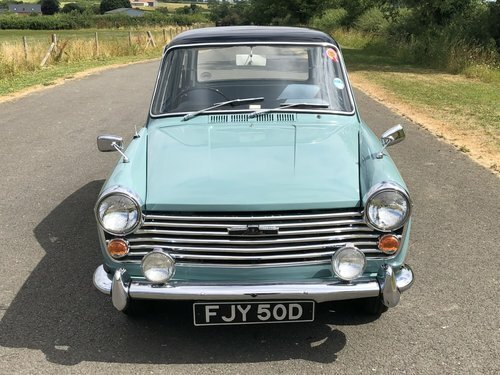 Although usually referred to as the A40 Farina, to distinguish it from previous A40 models, it was badged simply as the Austin A40. 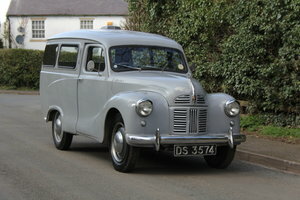 Austin was merged into the British Motor Corporation (BMC) in 1952, and unusually for BMC at the time, the body shape was sold only as an Austin; no other marque names were used to badge engineer it. An A40 Farina Mark II was introduced in 1961. 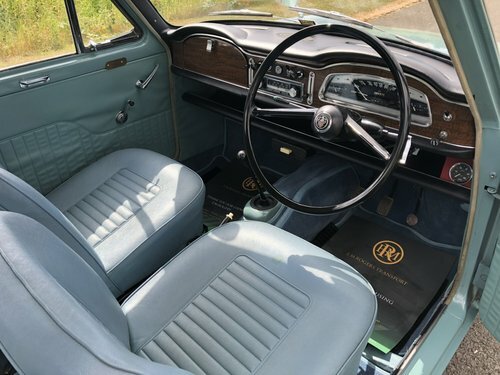 It had a 3.5 in (89 mm) longer wheelbase to increase the space for passengers in the back seats, and the front grille and dashboard were redesigned. 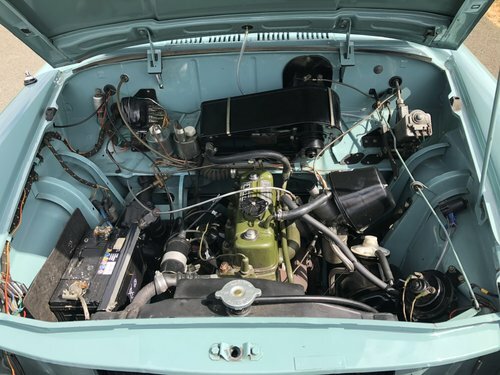 The Mark II had more power (37 hp/28 kW) and an SU replaced the previous Zenith carburettor but was otherwise similar mechanically. An anti-roll bar was fitted at the front. 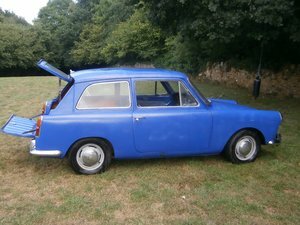 The 948 cc engine was replaced in the autumn of 1962 by a larger 1098 cc version with an output of 48 bhp. 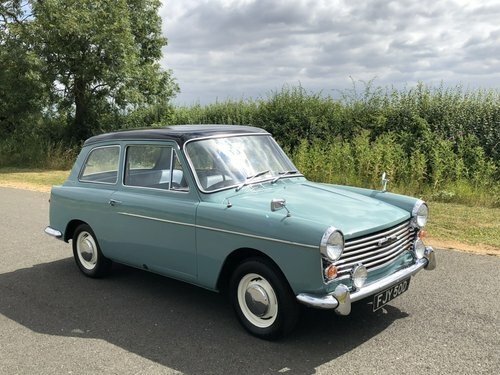 The A40 shared this engine with the Morris Minor, which was also rear-wheel drive – both models retaining the traditional north-south engine layout – and also with the recently introduced front-wheel drive, transverse-engined Morris 1100. 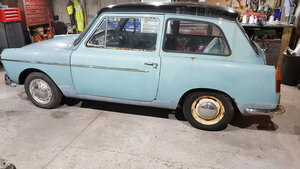 An improved gearbox was fitted to the A40 at the same time. Further changes were minimal. 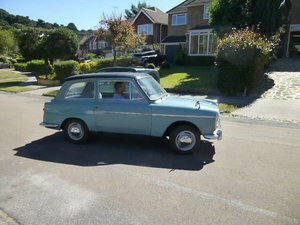 However, in 1964 a new fascia with imitation wood veneer covering was fitted. 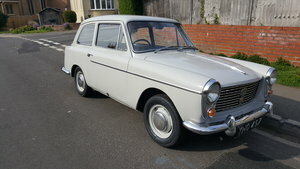 This version of the model remained in production until 1967. 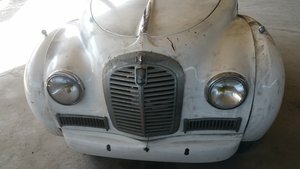 The brakes also became fully hydraulic, replacing the semi cable-operated rear system that the Mark I had inherited from the A35. 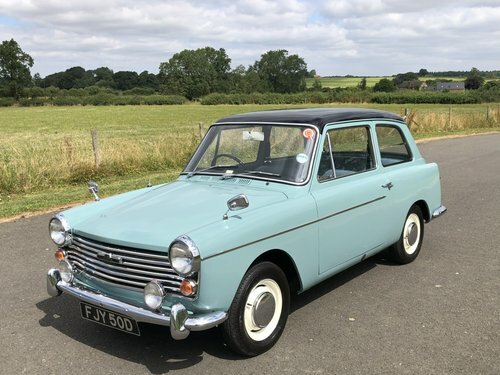 This stunning example is one of the best we have owned and has been cherished by its previous keeper, the car drives without fault and displays 38,000 miles which could well be correct but unfortunately due to age we cannot confirm this. This car would grace any showground or rally field. 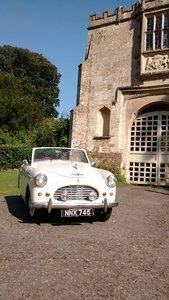 The current MOT is through until January 2019 and shows no advisories. Absolutely any inspection is welcome. All major debit cards accepted. Delivery can be arranged.